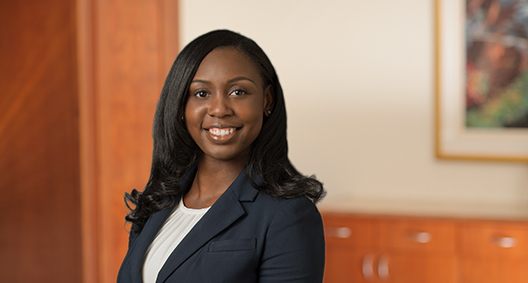 Shanisha Smith focuses her litigation practice in the energy and natural resources industry. She represents clients in oil and gas litigation and environmental disputes governed by the Mineral Leasing Act, the National Environmental Policy Act, the Outer Continental Shelf Lands Act, the False Claims Act, the Federal Oil and Gas Royalty Management Act, and numerous other environmental statutes and related regulations. Shanisha holds an LL.M. in Energy, Environment, and Natural Resources Law from the University of Houston Law Center. While earning her LL.M., she worked at the Texas Railroad Commission, as well as at the Comisión Nacional de Hidrocarburos during the Mexico Energy Reform. Shanisha also has a wealth of experience working in courts. She had the opportunity to work with a Texas state civil court judge, a federal magistrate judge, two federal district court judges and a federal appellate circuit judge. Prior to joining BakerHostetler's Energy Team, Shanisha clerked for the Honorable Judge George C. Hanks, Jr. of the United States District Court for the Southern District of Texas. Drawing on her knowledge of the energy industry and her well-honed skills developed during her clerkship, Shanisha is a dedicated advocate who confidently adapts to unique situations. While working toward her postgraduate degree, Shanisha won a $10,000 award for the Texas Energy Innovation Challenge – Power Across Texas. Focusing on law and regulatory opportunities and barriers that enabled the commercialization of GeoThermH2O, Shanisha was part of a team that obtained a provisional United States patent. Assisted in the representation of an oil and gas producer in a suit against the Bureau of Land Management (BLM) regarding drilling application processing time. The client maintains that it had met all requirements necessary for the applications despite BLM's approval delay. Received mandamus from the federal court forcing BLM to issue oil and gas drilling permits as required under the Mineral Leasing Act. Advised an American multinational energy corporation on a master development plan challenge. Counsel for a national oil and gas trade association involved in efforts to review and prepare comments on how the Department of the Interior can improve implementation of regulatory reform initiatives and policies, and to identify regulations appropriate for repeal, replacement, or modification. Member of the defense team representing independent natural gas and oil producers in various federal royalty audits and appeals. Advised an energy company to amend a Bureau of Land Management Communitization Agreement to seek the overpayment of royalties. Member of a defense team for an independent oil and gas company in ongoing Department of Justice civil investigation pursuant to the False Claims Act for allegedly underpaid royalties on natural gas. Represents energy companies in class action and individual suits alleging improper deduction of downstream costs from royalties owed under private leases. Prepared appellate documents from adverse regulatory ruling for American multinational energy corporation involving deepwater project. Worked with Comisión Nacional de Hidrocarburos during Mexico’s Energy Reform, providing advice to the attorneys and commissioners within the organization on shale gas, international model contracts, the 1944 U.S.-Mexico Water Treaty, the hiring of talent, foreign investors, administrative reforms to improve the competitiveness of Mexico, and the regulation and bidding processes. Worked with the Legal Assistance Centre of Namibia on corporal punishment issues. Broadcasted from Namibia’s radio station (Namibia’s Broadcasting Corporation, NBC) informing the community on Namibian law and crafted “radio friendly” law scripts that encouraged the attention of the listener. Analyzed and inputted data in a database on children’s views on corporal punishment in Namibia. Worked on groundwater conservation and financial assurance issues, providing research and memoranda on issues related to administrative law, oil and gas, and Railroad Commission rules in Texas.